How to Install the ServerOwl™ Pixel in Magento? To monitor your Magento website for outages, first you have to create a ServerOwl Account or Campaign for your website, we can then look at installing the pixel on your website. Once the Account or Campaign is created, you should be able to access the HTML code for the pixel. 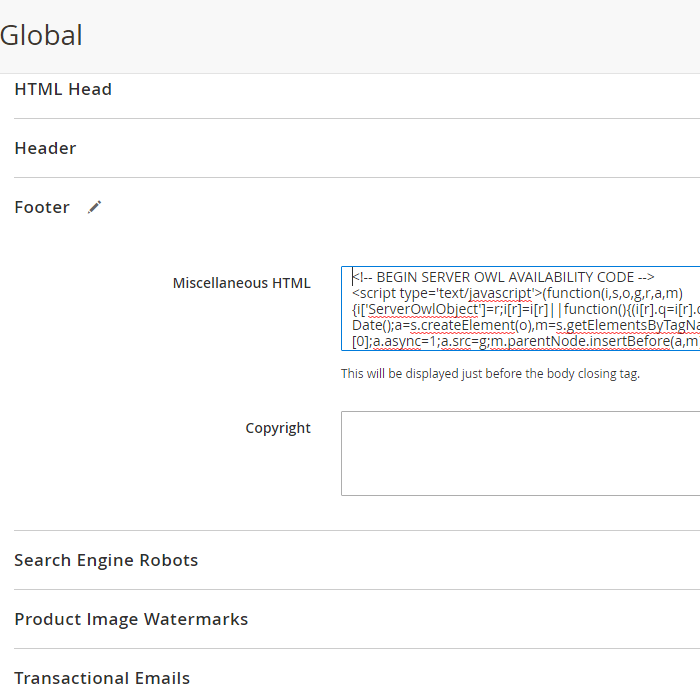 In Magento 2 we can simply add the ServerOwl pixel HTML code to the footer's Miscellaneous HTML field in the design configuration. First we can navigate to the Design Configuration in the Admin section as shown in the first figure below. Once you've selected the global design theme which is normally the top row in the Design Configurations, you can then see the individual design configuration fields. Scrolling down to the Footer section and expanding it, you should now be able to see the Miscellaneous HTML section that you can cut and paste the ServerOwl HTML code and save. Once the field is copied, it should look like the second figure below. 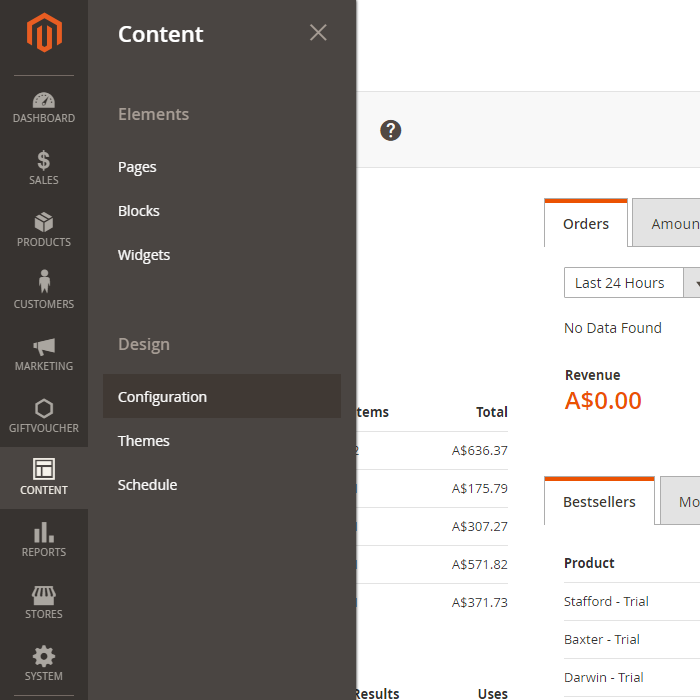 In Magento 1 we can simply add the ServerOwl pixel HTML code to the footer's Miscellaneous HTML in the design configurations as shown in the figure below. 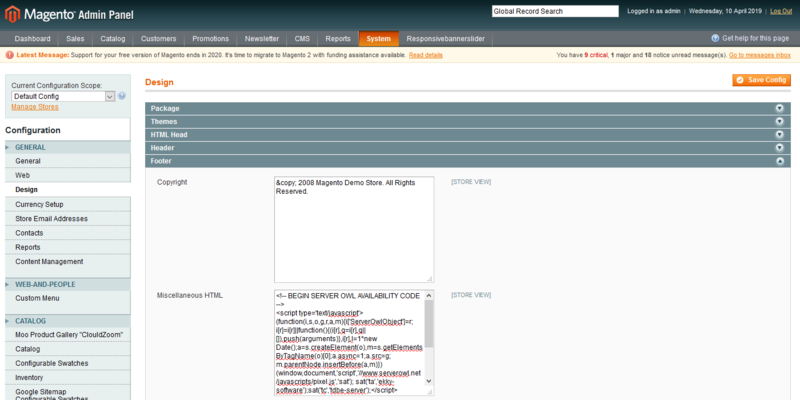 The field can be access from the system configuration in the Admin section of Magento under Design in the General section. © 2018, Ekky Software Pty Ltd; ABN 52 127 968 745.